Odd-Even: How Big A Villain Is Your Humble Car? According to the study, which was commissioned by the Sheila Dikshit government, the share of four-wheelers in the break-up of vehicular contribution is 10 per cent each in cases of both PM2.5 and PM10. New Delhi: Odd-even is set to return in the country's capital, but just how much do cars contribute in keeping the city's air noxious? The share of two-wheelers, three-wheelers, four-wheelers, trucks and light commercial vehicles in the total vehicular contribution shows that trucks and two-wheelers are the major polluters. On the other hand, the share of trucks and two-wheelers stand at around 46 per cent and 33 per cent respectively. Importantly, the government on Wednesday banned the entry of heavy vehicles except those carrying essential commodities in the city's borders. But two-wheelers have been kept out of the ambit of the licence-plate policy. Cars, however, have a huge share in terms of loading the air with gaseous pollutants such as sulphur dioxide and carbon monoxide with the corresponding percentages of around 57 and 37. But, over the years, measures like roll out of CNG- enabled buses and autos have significantly brought down the level of these toxic gases in Delhi and helped keep them well within safe limits. Suspended particulate matter PM2.5 and PM10, which can measure up to 30 times finer than the width of human hair, have emerged as the dominant pollutants in the recent years. According to CPCB member secretary A Sudhakar, the share of cars may be less compared to other factors, but "extraordinary situations call for extraordinary measures". "It is not the question of impact during emergency situations. All measures which can bring some amount of reduction need to be rolled out. And odd-even is just one of the components in a raft of measures that have been announced," he told PTI. The IIT report and experts have also warned against judging the role of sources of pollution merely going by figures and instead factor in the chemical characterisation of pollutants. And successive studies have proven that vehicular combustion, especially fumes of diesel cars, are qualitatively more harmful than pollution from sources such as road dust. Odd-even can also help in two other significant ways: bringing down congestion and the menace of road dust. Congestion results in idling of vehicular engines which leads to incomplete combustion and more emissions, while more cars on roads makes dust air borne in greater volumes. The IIT report had observed that the silt load on some Delhi roads is very high. 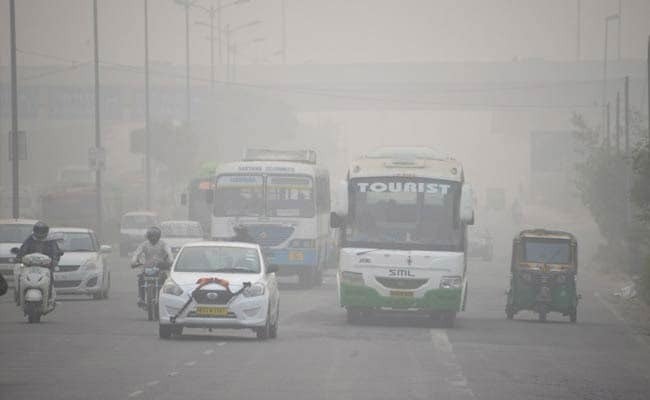 Silt becomes airborne with the movement of vehicles, it said, estimating that PM10 emission from road dust was over 65 tonnes per day in Delhi.